Chelsea vs Arsenal Live Streaming: The league leaders Chelsea hosts the informed Arsenal for the 24th match day of the Premier League at Stamford Bridge. Chelsea has 56 points from 23 games, nine points above Tottenham. On the other hand, we have Arsenal who has 47 points from 23 games, below on goal difference from Tottenham and one point above Liverpool. 04th February 2017 at 18:00 (IST). Chelsea has got themselves a perfect chance to extend their lead to stay on top of the table. Arsenal is third on the table, locked on points with Tottenham. Chelsea is in good form as they have gone through into the fifth round of FA Cup after beating Brentford by 4-0 at home, they will now meet Wolverhampton who outclassed Liverpool at Anfield to set up their fifth round tie with the Premier League leaders. Chelsea has won 13 out of the 14 games they have played under their new manager Antonio Conte. They only lost once at home against Liverpool in September 2016. They have kept 13 clean sheets in the league this season, highest by any team in the top five European leagues alongside PSG. 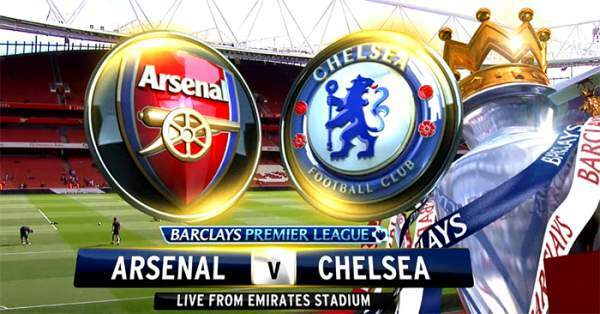 Arsenal needs a win here if they want to keep still fighting in the league. Beating Chelsea is tough and on top of the that, beating them at home will be tough looking at Chelsea’s current form. Arsenal has lost three of their last eight games in the league, winning four and drew one. They have conceded seven penalties in the league this season, only Hull City have conceded more. They dropped points against Watford on the 23rd match day as they lost by 1-2 at home. Arsenal has scored in 14 consecutive league games which are their best run in the division. Chelsea has been in excellent form throughout the season and beating them at home will be tough. Arsenal has a knack to give away easy points, but when it comes to the stronger opponents, they are always up to the task.